I am a major snacker, especially when it comes to sweets. What better way to curb that sweet tooth, than to make something super tasty, super healthy and wait for it Gluten-Free. 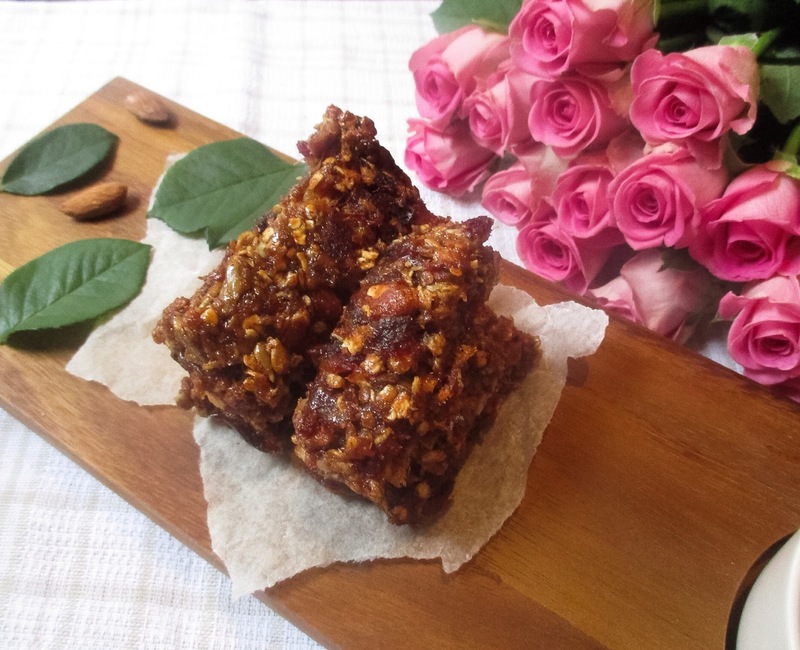 Crammed with nuttiness these sweet treats are good for any time of the day, they keep you fuelled up on all the goodness of fibre from the oats and protein plus healthy fats from the nuts. 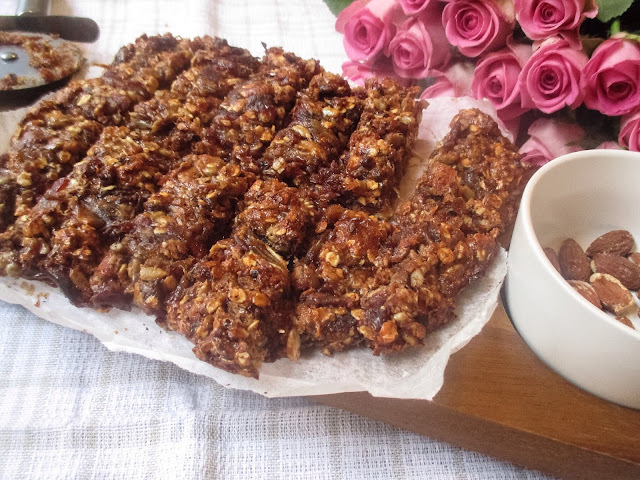 These Nutty Granola Bars will keep you energized for hours to come, so you won't find yourself snacking on naughty treats throughout the day. These are super easy granola bars to make and keep for the week ahead, or if you want to score some serious brownie or granola points whisk up a batch on Sunday and take them to work and share with your colleagues, or bring them if a parent like myself into the nursery to share amongst the staff . Chop up your dates into small pieces 200g deseeded. Toast your oats in a 250 degree F (110 C) oven for 15-20 minutes-ish or until slightly golden brown. Place your almonds in a freezer bag or resealable bag, and gently bash your almonds so they crumble slightly. 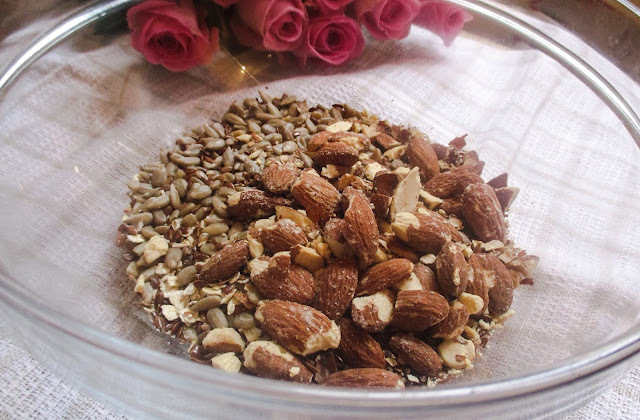 Place toasted oats 135g, linseeds, sunflower seeds and almonds in a large mixing bowl - set aside. Heat up the maple syrup, almond butter, and chopped dates in a small saucepan over a low heat for 10mins or so. Stir and pour over oat mixture and then mix. 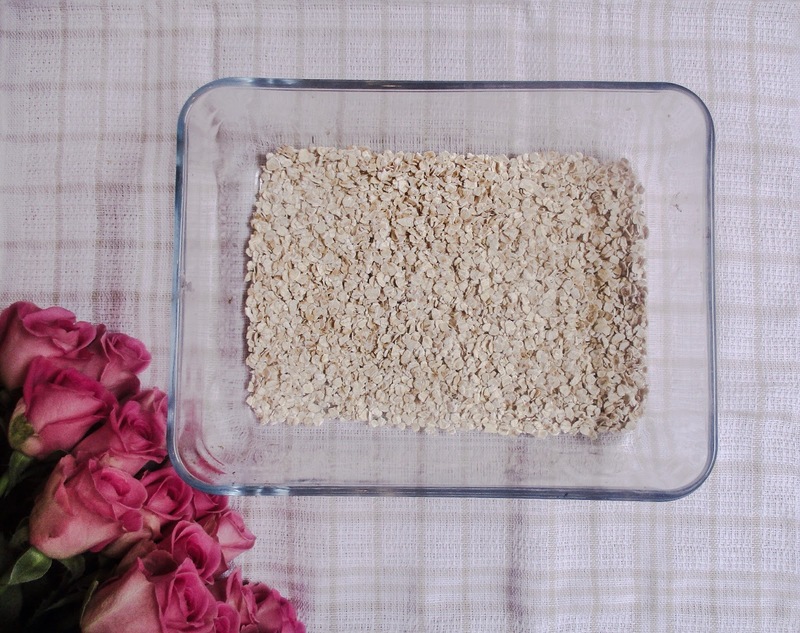 Once thoroughly mixed, pour into a rectangle 10x9-inch baking dish or other small ovenproof dish lined with parchment paper or cling film so they lift out easily. Remove bars from pan and chop into 10 even bars. Store in an airtight container for up to a few days or if your home or office is anything like mine, they will pretty much go the same day. If you decide on making a batch, be sure to tag me (@lindseylondonmumma) in your Instagrams.